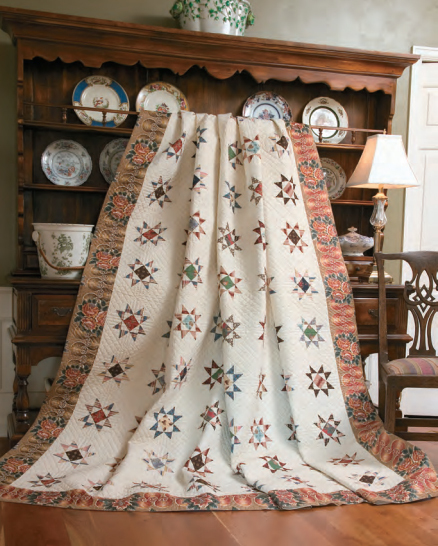 This Susquehanna Stars Quilt designed by Quilting Company, The Pattern is available for free. This circa 1830 free quilt pattern features a glazed chintz border, and was likely made large enough to cover a main bed and trundle. It’s a great design for stitching from your quilting stash, and would look beautiful in many different fabric themes.